A tiger shark bit a surfer in Hawaii on December 31. Marjorie Mariano was enjoying a new year’s surf off Laniakea Beach. While in the water, the active surfer had been thinking about her friend and soul sister Telma Boinville, who was recently killed in an apparent robbery. 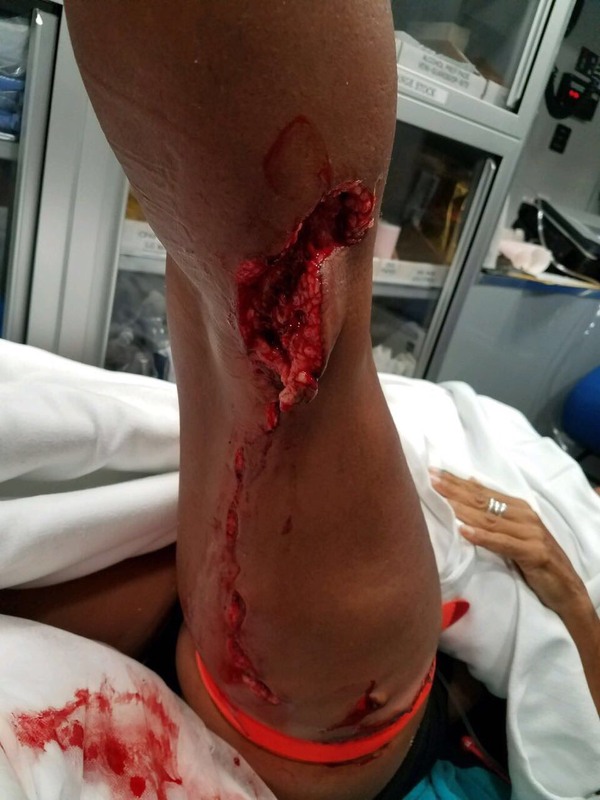 Around 6 p.m., an estimated 10-foot long tiger shark grabbed her leg (graphic image). The 54-year-old paddled back towards the shore and was assisted out of the water by fellow surfers. Paramedics were able to use a tourniquet to stem the bleeding and transported her to the local hospital. The injury to her left leg ran from just below her knee and up her thigh. Doctors were able to save her leg and a GoFundMe page has been set up to assist with medical bills. This is the fourth shark attack bite in Hawaii for 2017. On April 14 a French surfer, known as Baboo Bourdenx, was around 100 yards (91m) offshore in an area known as Davidson’s before 10 a.m. when an estimated 12-foot tiger shark bit his right leg. The 28-year-old’s right leg had to be amputated just below the right knee. 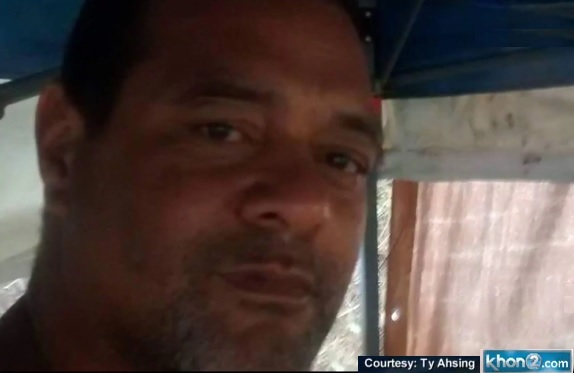 54-year-old Mitch Milan was near the same area October 9, at around dark when a shark grabbed his right hand. 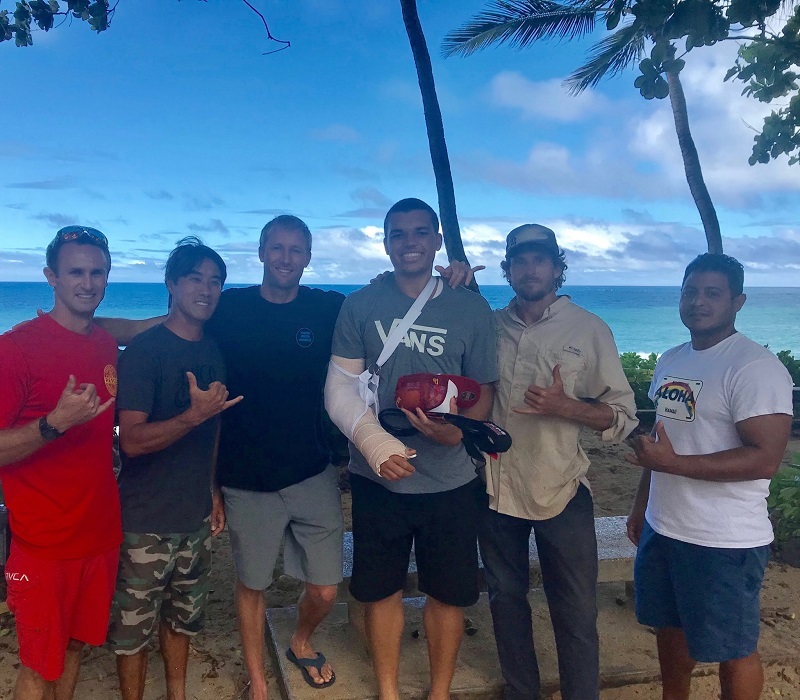 On November 2, a man in his 20’s was injured by a shark off Makaha, Oahu. Sharks tend to be more active in the early morning and at dusk. Swimmers and the like can help prevent a negative encounter by avoiding entering ocean during these times. There have been a total of 105* shark attack bites in 2017, 8 of which were fatal*; 51 were reported in the US, with 33 occurring in Florida** and four in Hawaii. Fifteen have been reported in Australia, one of which was fatal. Five unconfirmed worldwide and not included in the total count.